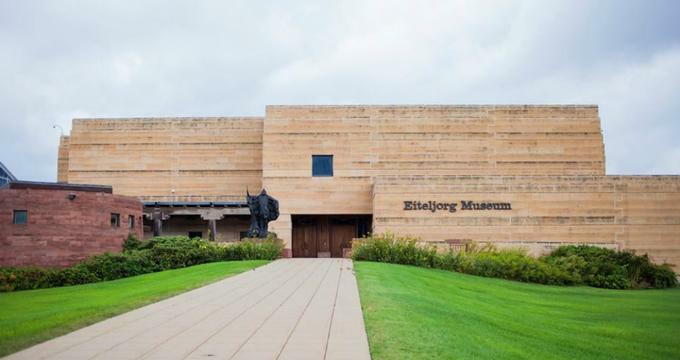 Located in Indianapolis, Indiana, the Eiteljorg Museum of American Indians and Western Art offers engaging and dynamic exhibitions about many diverse subjects from the West. Everything from the histories of pistols and motorcycles to understanding the experiences of minorities (Native Americans, African-Americans, and women) in the American West are featured at the museum. Visitors will be able to immerse themselves in Western and Native American cultures through a variety of mediums, including films, paintings, sculptures, and photographs. The museum also offers visitors a variety of educational programs, cultural exchanges, and family-friendly year-round events to stimulate their understanding and appreciation of Western culture. The Eiteljorg Museum was originally founded by a local philanthropist and businessman named Harrison Eiteljorg in 1989. Its mission is to inspire and educate visitors regarding the art, history, and cultures of the American West and its indigenous peoples. The museum’s vast collection of artifacts, artwork, and objects are housed in a 118,000-square-foot building designed by architect Jonathan Hess. Hess and Eiteljorg traveled the Southwest together to study the land, its people, and its architecture before building the museum. They wanted to ensure that the museum truly represented the natural beauty and originality of the Southwest. The museum is the only one of its kind in the Midwest and one of the few in the entire country that feature both Native America and the American West. Many iconic artists have their work displayed at the Museum, including Ansel Adams and Georgia O’Keeffe. Dogs: Faithful & True: This event is going on until August 2017 and features artwork surrounding the importance of dogs in our everyday lives. There will be all kinds of art on display and a wide variety of information regarding the history of dogs in Native American and Western cultures, as well as the chance to adopt a furry friend of your own. Quest for the West: This exhibit features pieces from more than 50 iconic artists in Western Art. The artists will be there with their works to provide a more intimate selling experience. The exhibit is open to the public from September 10 to October 8, 2017. Jingle Rails: The Great Western Adventure: This exhibit takes visitors on an epic journey through the Great American West! Nine working model trains wind through miniature towns with unbelievable detail and showcase iconic landmarks of the West, present and past. This exhibit is on display from November 18, 2017 to January 15, 2018. Western Continuing Exhibitions: The museum has two galleries dedicated to Western art all year round. There are many diverse paintings, drawings, and sculptures that highlight many different visions of the West from the 20th century. Native American Continuing Exhibitions: The museum has year-round galleries dedicated to displaying Native American artwork. The stories, customs, and traditions of Indiana’s indigenous people are beautifully and sensitively told in this exhibition. Spring Market: This annual event allows visitors to celebrate the arrival of spring and experience new artistic works while shopping for handmade arts and crafts from local artists. There are family-friendly activities during the event, including instrumental storytelling with Teresa Webb and every second Saturday of the month there is a family crafting studio. Cowpokes & Cocktails: A new annual tradition is starting this year at the museum – a Western-themed charity event. Visitors will experience an exciting night with all proceeds benefitting children’s educational programs at the museum. Visitors can dance off delicious barbeque while wearing their best Western wear. The event will be held annually in April. Summer Under the Sails: Throughout the months of June and July, the museum will host various programs outside under their cloth sails. Activities including a pop-up library, games, crafting, films, music, book clubs, and even panning for gold will be held all day. Live bands perform every evening and the performances are free, dog-friendly, and suitable for members of the whole family. Juneteenth: This event is meant to commemorate the abolition of slavery in Texas in June 1865. Admission is free and the event will contain live music, demonstrations, food, and family-friendly fun. Indian Market & Festival: This annual event is currently celebrating its 25th anniversary! It celebrates Native American art, history, and cultures through family-friendly activities, cultural demonstrations, delicious food, and amazing entertainment from Native American performers. This event is June 24 – 25, 2017.